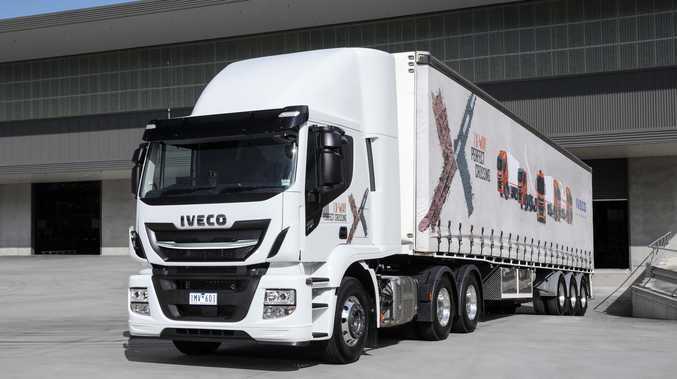 THE upcoming Brisbane Truck Show will provide IVECO Australia with the perfect platform to showcase its latest Euro6 emission technologies, and to demonstrate the company's commitment to minimising environmental impact. The IVECO stand will extensively feature vehicles with Euro6 engines across its light, medium and heavy duty weight categories, including several that will be on public display in Australia for the first time. One model making its first public appearance is the recently-launched, locally-made Euro6 Stralis X-Way, with both a prime mover and rigid model to be displayed. As well as benefiting from a broad range of intelligent active and passive safety features, the Stralis X-Way is equipped with a number of fuel-saving measures including 'Ecoroll', 'Ecoswitch' and engine anti-idling. Emission control on the X-Way is also advanced, coming courtesy of IVECO's unique Hi-eSCR system which does not require driver intervention. Showgoers will also be excited at getting their first glimpse of the all-new, next generation Euro6 ACCO, also manufactured in Australia. Still in the midst of extensive in-field development testing prior to launch later this year, the new ACCO will build on the toughness of its predecessor while delivering new levels of comfort and safety never before experienced in an ACCO. On display in Brisbane will be a 6x4 model with Bucher compactor body and an 8x4 featuring a Hiab hooklift body. Also on show and representing IVECO's medium duty range is a Euro6 Eurocargo equipped with an INNOV8 attenuator body, while at the lighter end of the product offering is the market-leading Daily 70C van with 7 tonne GVM, 19.6m³ volume and Euro6 engine. Off-road fans will be pleased to know that IVECO will also preview a prototype new version of its unstoppable Daily 4x4 with increased GVM capabilities of up to 7 tonnes and a raft of other enhancements including availability of IVECO's market-leading Hi-Matic, 8-speed full automatic transmission. And for those interested in bonneted, North American-style trucks, an INTERNATIONAL ProStar prime mover model will also be on show. IVECO Australia marketing manager Darren Swenson said that this year's stand would hold true to the brand's global positioning to be 'Your Partner for Sustainable Transport'. 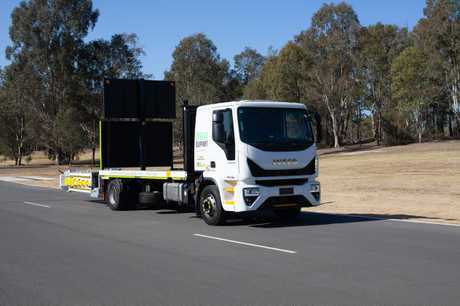 "IVECO is very proud to be a global leader in low emission technologies and at the 2019 Brisbane Truck Show, our low emission capabilities will be strongly displayed and promoted," Mr Swenson said. "IVECO is very pleased to be able to provide an extensive Euro6 product offering across vans, minibuses and its light, medium and heavy duty truck ranges." To get a closer look at the latest from IVECO and INTERNATIONAL, please visit stand 47 in Hall 1 on the Foyer Level of the 2019 Brisbane Truck Show.